Many mums find that re-entering the workforce can be a stressful thought. Balancing family, finances and your time can require some creative thinking. But don’t be discouraged. There is a job that requires your skills and experience, which can be done in your own schedule. Looking for a new job, let alone a flexible job, is hard. There are employers who both want and need your skills and experience and are more than happy to tailor a role to fit for you. It is just a matter of knowing where to look, who to talk to, and how to approach it. There are generally two camps of mums: those who are employed already but find it hard to find additional time to search for a new flexible job; and those who are not working who get disheartened focusing solely on their search and often experience very little return. There are more candidates and not as many jobs, so it makes sense that the way you go about finding a job needs to change. Finding a flexible job is possible, you just need to consider your approach. Larger companies have in-house recruitment teams managing assignments and may have invested in online filtering programs. You can upload your details to some company websites and they will contact you if a role comes up. Optimizing your resume with keywords is a must in this instance. Your resume could be scanned before being read by a human. Recruiters have also changed the way they work – they are smart about who they meet and are proactive with the right candidates when many others are simply registered on their database. They are skilled in managing the process of recruitment, they are good negotiators and remembering that their role is to make a fee – they are great sales people. They can sell a job to a candidate and a candidate to a client/job. Regardless of whether you’re looking to change employers or the way in which you work, it makes sense to review your career aspirations. What do you want to do? In which industry do you want to work? Do your skills match both? You may find that becoming a parent has changed how you feel about your career and your priorities. Sit down with your partner or friend and write down what your skills are and what you are good at. Work out the flexibility you need to manage work and family. Try to imagine how you might feel but be realistic that you may not know yet how you will feel as a working mum. If you’re considering a change in industry, then learn as much as you can about the new one. Attend courses, read books and study! The more you know about your industry, the more impressive you are sure to look in the eyes of a would-be employer. Research suitable job ads and look the skills that employers are looking for (note: the ad will list all desired skills, you probably will not need all of them). Improve your skills and boost your confidence by doing a short course or do some freelance work if this option is available to you. Provided you have enough knowledge to work in the field, you can start by getting your name out there. As you are starting out, you’ll need to put together attractive packaging and pricing to attract business to you. After all, you want people to give you a go, so you can obtain valuable – and paid – work experience. Get out there and offer to do voluntary work experience to build your profile. Think of the companies you’d like to work for and get on the phone to the boss to express your interest in doing some voluntary work experience with them. There are countless stories of boring, generic resumes that seem to be the commonly submitted thing. The same goes for application letters – job seekers tend to churn out generic templates that do nothing to wow a potential employer. It’s important to stand out from the crowd and make an impression on your soon-to-be new employer, so make sure your resume and your application letter are custom-crafted to the position you’re applying for. Put all your education, volunteer, freelance and work experience work into your resume. These all show prospective employers that you’re keen and enthusiastic when it comes to your chosen field. Even if you’re brand new to the field, these things provide you with experience that employers will want you to bring to your new position. Consider the unpaid activities you may have done and turn these into ‘work speak’. For example, raising money for a charity involves communication, business development, money handling, accounting and marketing skills. Tuck shop work involves customer service, and the ability to work in a team. If you’ve been doing the bookkeeping for your family business, research what businesses will pay you to do their bookkeeping. Volunteer work is a wonderful way to build up your work experience and to showcase your personal attributes so make sure you include this in your resume as well. Also, be very clear about your flexibility requirements upfront and include these details in your cover letter. Being as specific as possible will allow clear negotiation. If you see an ideal job being advertised that is full time, ask if they would consider flexible or part time working arrangements. Remember your resume and cover letter both reflect you so make sure you spend time on formatting, content, and grammar. 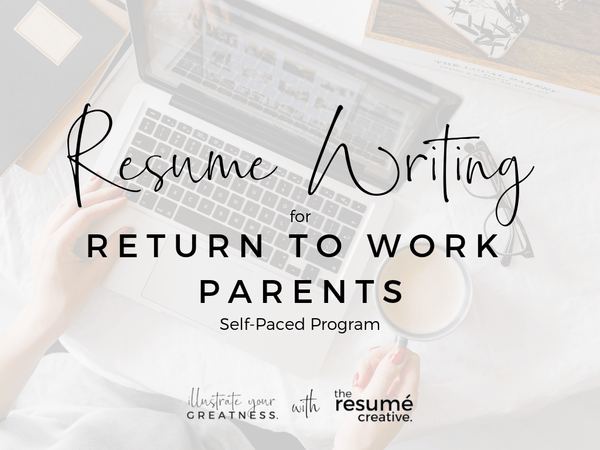 If the thought of writing your resume and cover letter leaves you a bit panicky, consider getting some help, such as the Resume Writing for Return to Work Parents Program. Know your flexible job channels. Ensure that you register your name and other relevant information with a few job channels to ensure you have broad coverage. There are some avenues and companies that you will have much greater success with than others. Try your local newspaper, asking friends and family for recommendations of flexible employers. Great leads often come from people you know. With good contacts, there can be an abundance of flexible work projects that employers can engage your services for on a short to medium term basis on a flexible arrangement. Remember that most jobs never even get advertised, so be proactive in putting your CV out to businesses you want to work for! Look for flexible and boutique job boards and candidate boards that promote flexibility. Set up a LinkedIn profile, and add your skills and experience. Follow companies you would like to work for and find groups that promote flexible working (even WAHM is on there). With a carefully crafted and tailored resume and application letter, clearly detailing what you have done to demonstrate your interest in your industry, you can confidently apply for the perfect position. Remember as well to follow up with would-be employees – regardless of whether you applied for a specific job or if you contacted the company directly, expressing interest in any future opportunities. Perseverance really does pay. Just because you may have been out of the workforce for years or just because you’re brand new to an industry doesn’t mean you’ll miss out on work opportunities. What if you’re staying with your current employer? Time is a barrier when looking for a new role. One of your options for getting flexible work is by staying with your current employer and changing the way that you perform your role. In some circumstances, employees have the right to request more flexible work arrangements. With this in mind, consider submitting a proposal to work flexibly with your current employer. Make your desire to work flexibly clear to them at least a few months before you are due to return to work or wish to make the changes. Request a task list that outlines and itemises all the things you need to consider to perform your role in a part time or flexible capacity, such as minimum working hours, work you will perform at home versus the office, and how client needs will be affected. If you are breastfeeding, and would like to check on your rights, click here. 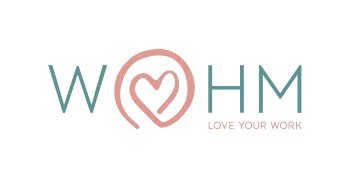 There is another group of mums looking for flexible jobs and ways of working: those who wish to do so from home and transition into WAHMs. If you want to work from home, then it pays to know how to avoid scams and how to find legitimate work. Work from home jobs are prevalent on the internet; but many of them are not genuine e.g. “make $10,000 per month with just 15 hours per week!” If it sounds too good to be true, it probably is. Not everything is a scam, but you do need to be smart in your approach to signing up for work at home jobs. If they do not advertise what you will be doing, then it is more than likely an MLM (multi-level marketing) or pyramid scheme. MLMs are not illegal in Australia, but they are also not everyone’s preferred avenue for work. Don’t part with your money if buying into a home-based business opportunity. Ensure that you have done your due diligence and sought at least one unbiased review from a friend, family member or an accountant. Make an informed choice and make sure you do your research first. 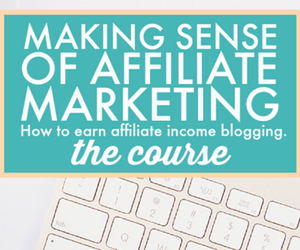 Don’t be swept away in the belief that you can earn thousands for minimal hours. Keep up to date with the latest scams; visit Scamwatch, the ACCC and Fido. If you choose to work for yourself, you can set up your own business and start as a freelancer. You not only get to work for yourself, minus the presence of a boss, but you also get to set your own hours and work as much or as little as you desire. It is hard work but very worthwhile. Work At Home Mums is the first place to start looking for a work from home job because there is a real person checking the listings and ensuring they are genuine. All jobs are carefully screened to ensure that we are providing our Job Seekers with elements of flexibility and professionalism. A great freelance site I have registered on and you do not have to compete with thousands of others is PPH. You can bid on projects, add a portfolio to your profile and add hourly jobs at fixed prices. Or turn a passion into a business… like wedding photography, teaching kids dancing or music, or perhaps de-cluttering/organising homes. Stay motivated and don’t get disheartened: flexible jobs are out there! 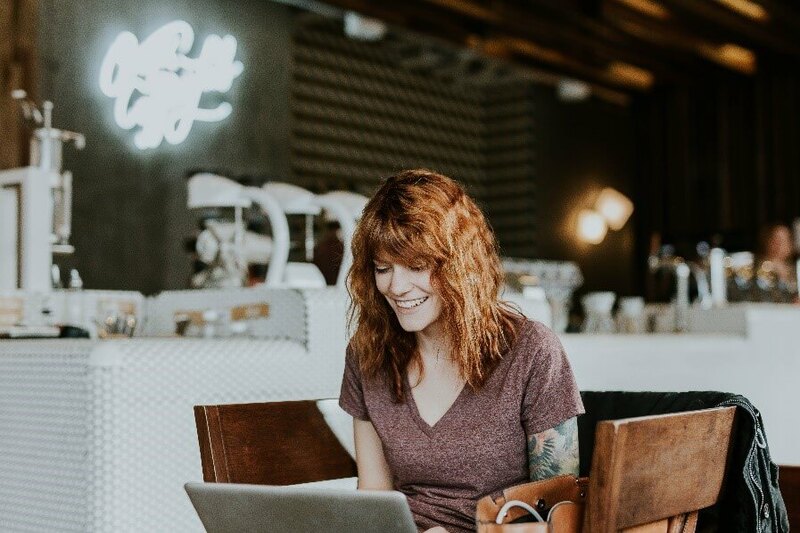 The more motivated you are to finding flexible jobs or working from home, the more likely you will be to make a go of it and really get stuck into your new mission. Just ‘dipping your toe in the water’ doesn’t work, as any new change requires a lot of motivation and perseverance. If you’re still unsure what type of work may be perfect for you, consider grabbing a copy of our e-book: Earn Extra Money Online where we cover everything you need to know to start making money online.